Dimensions: 19" wide, 26" deep, 23" high. 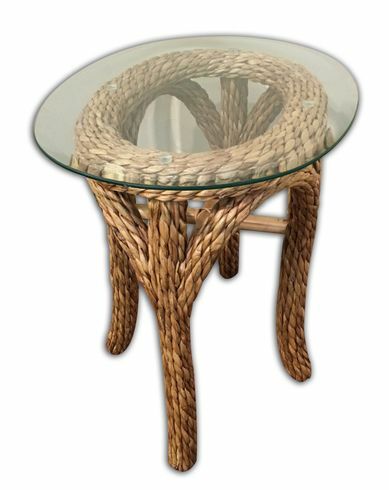 The Martinique oval end table is framed on a rattan frame and features a tempered beveled glass top. Hurry only 2 left! 19" wide, 26" deep, 23" high.